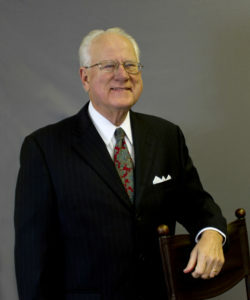 Mr. Sherwood has authored 14 books, hosted his own radio program, taught at KU, MU and Stanford graduate schools of business, earned MBA and MS degrees, received an honorary Doctorate, founded 2 Silicon Valley technology companies and directed businesses in South Africa, Europe, and the Middle East. Mr. Sherwood holds a Series 65 license and is a professional investment adviser. The Series 65 license exam, called the Uniform Investment Adviser Law Examination, covers laws, regulations, ethics, and topics such as retirement planning, portfolio management strategies and fiduciary responsibilities. He was president of a venture capital firm capitalized by Ewing Kauffman, owner of the Kansas City Royals and founder of the Kauffman Foundation. Ewing Marion Kauffman was an American pharmaceutical entrepreneur, philanthropist, and Major League Baseball owner. Sherwood was a senior board member to 30 companies, was profiled in Fortune and Business Week, winner of the 1995 Entrepreneur of the Year award, presented seminars on Leadership and Technology to more than 3000 executives and testified in court on behalf of Google, Yahoo! and Facebook. His consulting practice includes technology product development, leadership training, seminars, speaking engagements and professional coaching. He produces podcasts at WebTalkWithBob – available on iTunes. He has been married for 39 years to Helen and has 5 sons. Mr. Sherwood and his wife divide their time between Leawood, Kansas and Rancho Mirage, California. His novels and non-fiction books are available on Amazon.